Loughran Gallery always comes up with unusual and inspired places to pop-up, and this June and July it will be exhibiting art at the restaurant Muriel's Kitchen in Old Compton Street, Soho. Running from 11th June to 21st July, the show will include work from Loughran favourites including Damien Hirst, Dave White, Marc Quinn, and Jessica Zoob. 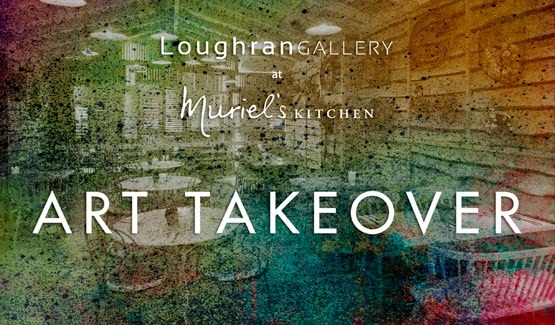 "Loughran Gallery joins forces with Muriel's Kitchen, one of Soho's most popular places to eat, to produce a whole new approach to buying art. Think delicious, fresh recipes and cool, contemporary art works in one quite literally sensational experience. Set up by Charlotte and Sam Miller, the concept of Muriel's Kitchen was inspired by Charlotte’s true ‘no-nonsense’ Grandmother whose kitchen was the heart of her home. Many of the secrets of her recipes, which have been passed down the generations, live on through the dishes seen on the menu today. All who come to the Art Takeover in Muriel's Old Compton Street location will be encouraged to enjoy and take in the art over a place of wholesome food, making the whole process of viewing and buying art relaxed and enjoyable. We can't wait to show our contemporary pieces in a homely setting, showing just how easy it is to bring any work of art into your home. Highlights of the show will be limited editions from Damien Hirst, Dave White, Marc Quinn and Tracey Emin with original delights from Jessica Zoob and Lara Carew-Jones. Running from June 11th to July 21st, we hope you can come join us for a plate of food, maybe even a cheeky glass or two, and just chill deciding on the next addition to your art collection."